New York Times CEO warns publishers ahead of Apple news launch - SABC News - Breaking news, special reports, world, business, sport coverage of all South African current events. Africa's news leader. 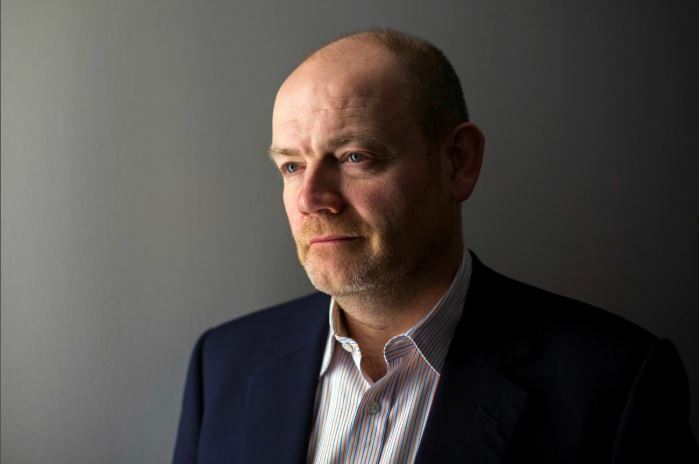 Mark Thompson, who took over as New York Times CEO in 2012 and has overseen a massive expansion in its online readership, warned publishers that they may suffer the same fate as television and film makers in the face of Netflix’s Hollywood insurgence. Apple Inc is expected to launch an ambitious new entertainment and paid digital news service on Monday, as the iPhone maker pushes back against streaming video leader Netflix Inc. But it likely will not feature the New York Times Co.
Mark Thompson, chief executive of the biggest US newspaper by subscribers, warned that relying on third-party distribution can be dangerous for publishers who risk losing control over their own product. Thompson, who took over as New York Times CEO in 2012 and has overseen a massive expansion in its online readership, warned publishers that they may suffer the same fate as television and film makers in the face of Netflix’s Hollywood insurgence. “If I was an American broadcast network, I would have thought twice about giving all of my library to Netflix,” Thompson said in response to questions about any talks with Apple to participate in the iPhone maker’s new news service. Thompson declined to comment on any conversations with Apple. But he used the tale of how Netflix made huge inroads into Hollywood to explain why the Times has avoided striking deals with digital platforms in which it had little control over relationships with customers or its content. “Even if Netflix offered you quite a lot of money. … Does it really make sense to help Netflix build a gigantic base of subscribers to the point where they could actually spend $9 billion a year making their own content and will pay me less and less for my library?” he asked. In 2007 the answer for Hollywood was yes. In exchange for billions of dollars, studios helped Netflix launch a fledgling streaming video service by licensing their libraries of shows and movies, but that decision may have sown the seeds of their own demise. By 2016, Time Warner Inc was forced to sell itself to AT&T Inc and Rupert Murdoch sold his 21st Century Fox film and TV studios to Walt Disney Co.
Apple is the latest company to offer a direct-to-consumer streaming video, along with a news subscription service, by leveraging the power of its more than 1 billion devices. Through its subscription news service, Apple will charge about $10 monthly for access to a variety of magazine and newspaper content, according to media reports. Apple is expected to take 50 percent of the revenue. The Wall Street Journal has agreed to join Apple’s service, according to a recent New York Times report. News Corp, owner of the Journal, was not immediately reachable for comment. A monthly digital subscription to the New York Times costs $15, and Thompson said he has no plans to give that up to participate on other platforms such as Apple’s. Last year, the Times generated over $700 million in digital revenue, close to the company’s target of $800 million in annual digital sales by 2020. Digital ad revenue surpassed print ad revenue for the first time in the fourth quarter of 2018. The Times has plowed investment back into its newsroom, which at 1,550 journalists is now at its largest ever. Despite the company’s insistence on keeping readers on its own products and platforms, Thompson said it has experimented on other services, highlighting content the Times developed just for Snap Inc’s Snapchat app, which helped reach new, younger readers. These new audiences, he said, will play a big role in helping the Times reach its new target of 10 million subscribers by 2025. This entry was posted on 22 Mar 2019,07:34AM at 7:34 AM and is filed under Lifestyle, Homepage Latest Stories Slider. You can follow any responses to this entry through the RSS 2.0 feed. Both comments and pings are currently closed.